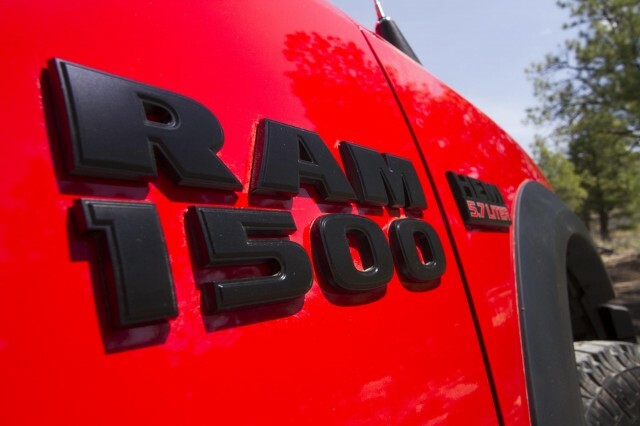 When Ram Truck announced that they were working on a “sporty” new 1500 4WD, it prompted a tornado of speculation and debate. The most commonly heard comment, at least from the standpoint of this journalist’s ears, was that Ram had its sights set on the Ford Raptor. 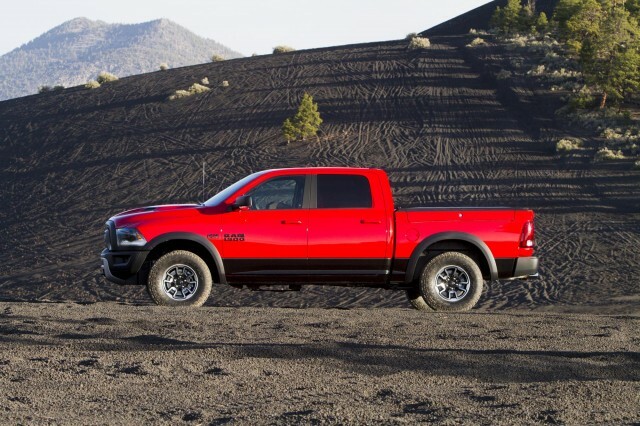 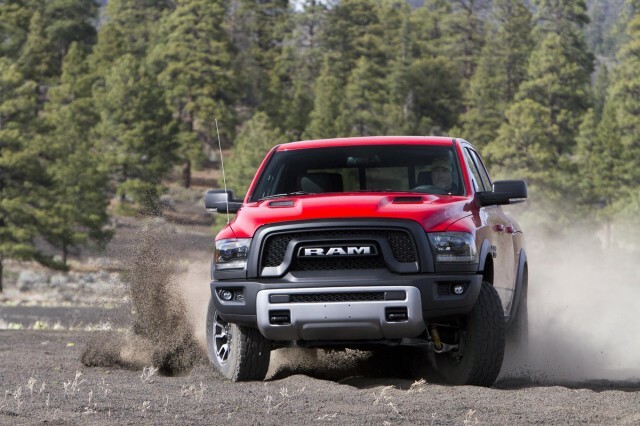 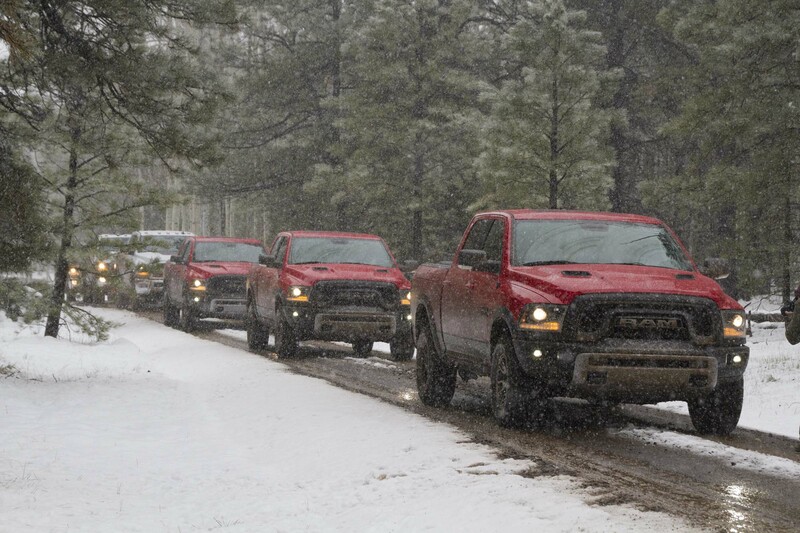 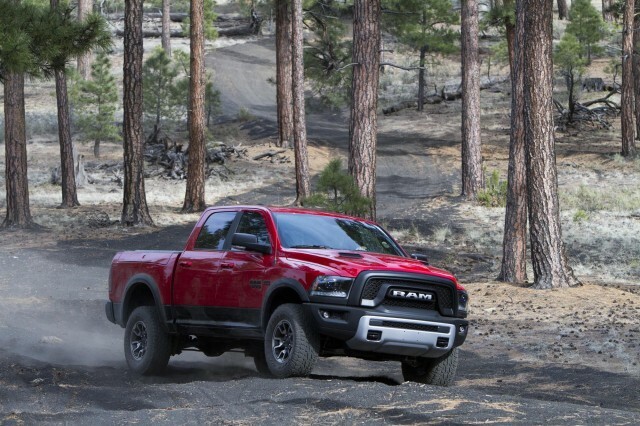 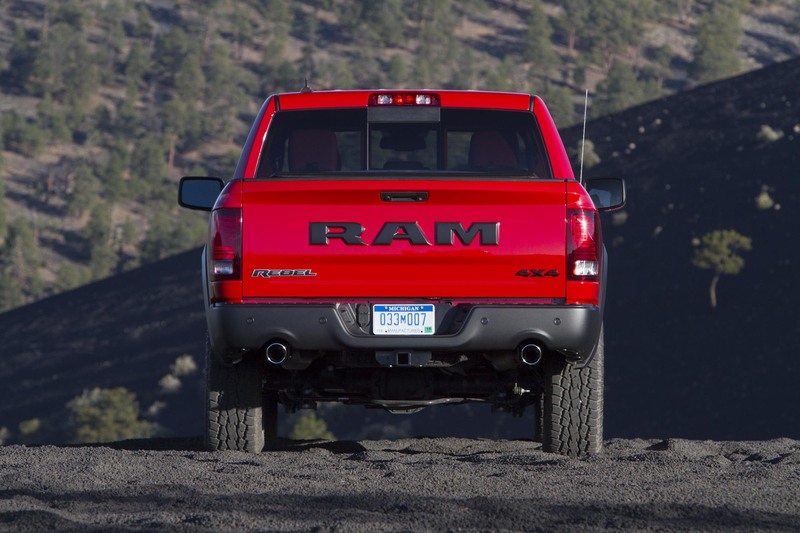 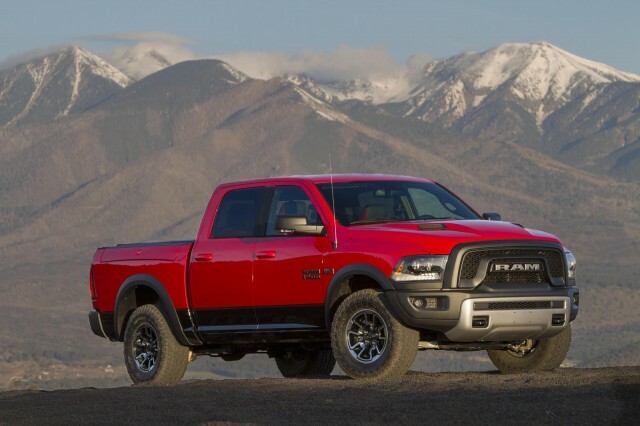 Though I didn’t have any doubt that the brand could go head-to-head with the Raptor if they wanted to, I’ve always thought of Ram trucks as heavy-duty, haul-or-tow-anything, run-forever work trucks. 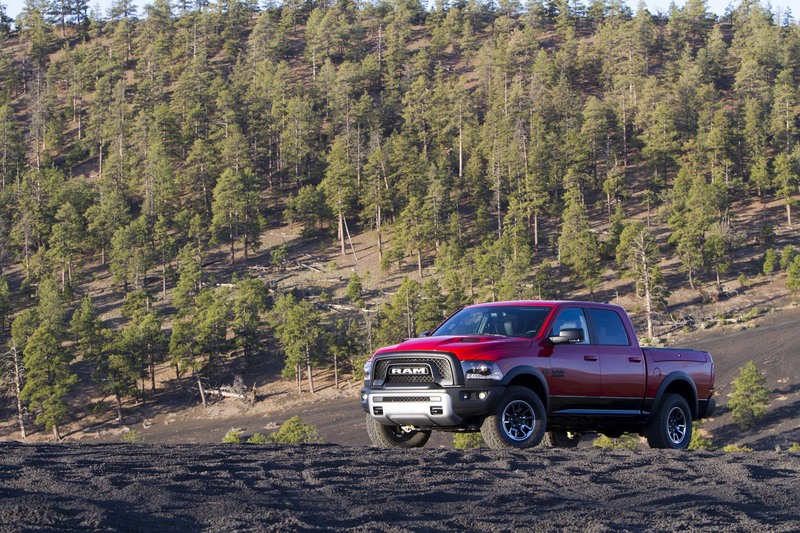 What I expected was a platform rooted in solid Ram DNA, but with more pizzazz and backcountry savvy. 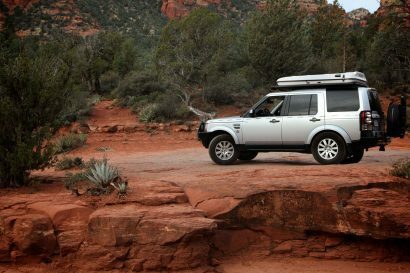 Last week I traveled to Flagstaff, Arizona, where I got to spend a couple of days in the Rebel. I was not disappointed. Prior to climbing in the Radar Red Rebel (there are a number of color options), its proud heritage was immediately noticeable. 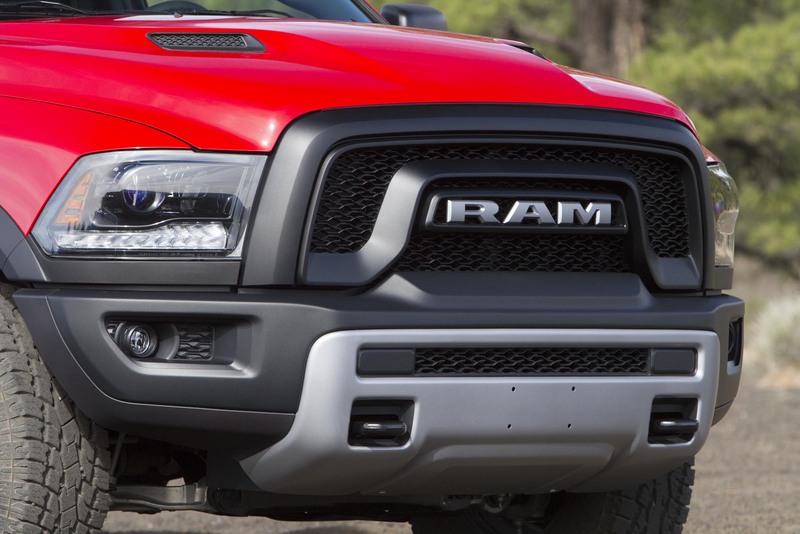 Rather than presenting the traditional crosshair-style grill, the letters R-A-M are emblazoned across a blackout honeycomb lattice. 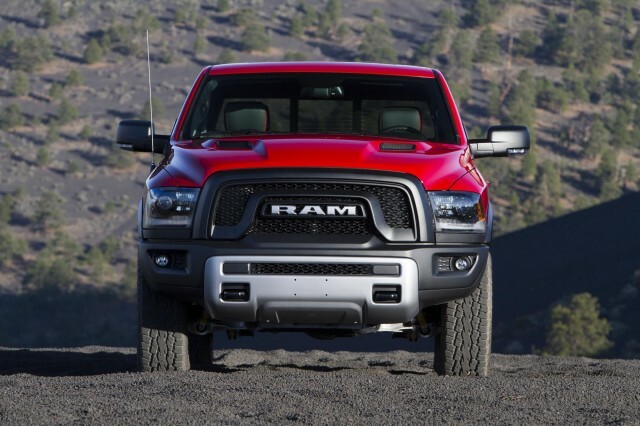 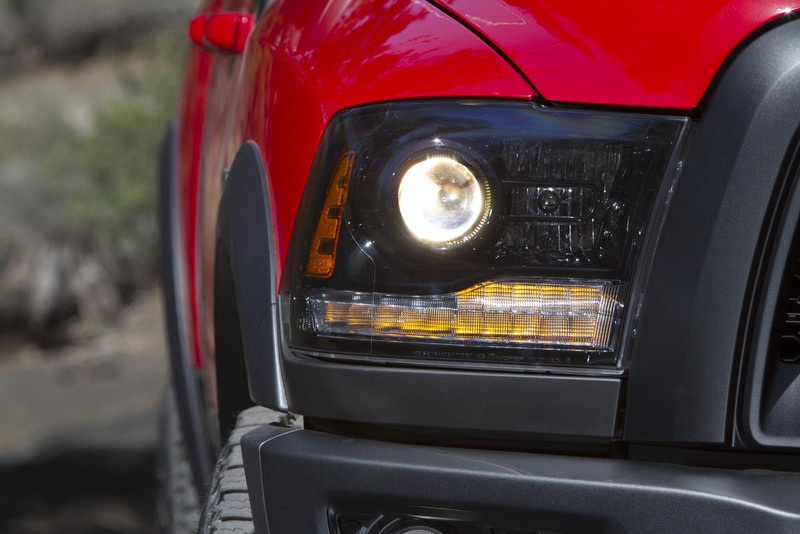 More subtle changes are black-bezel, bifunctional projection headlamps and LED marker lights, which are complemented by Ram’s new LED fog lamps. 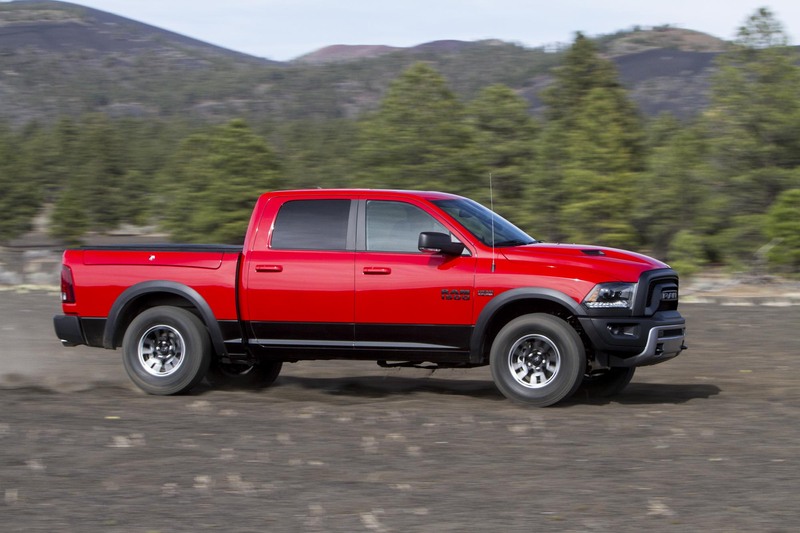 This Rebel red/blackout theme carries around to the side, through the interior (check out the Toyo tire tread pattern and stitching on the seats), and back to the rear bumper. 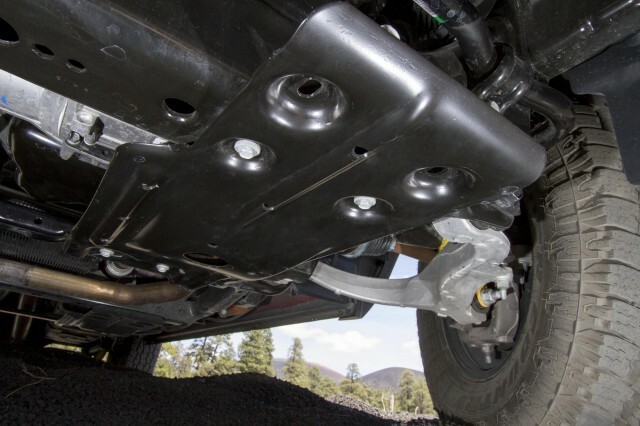 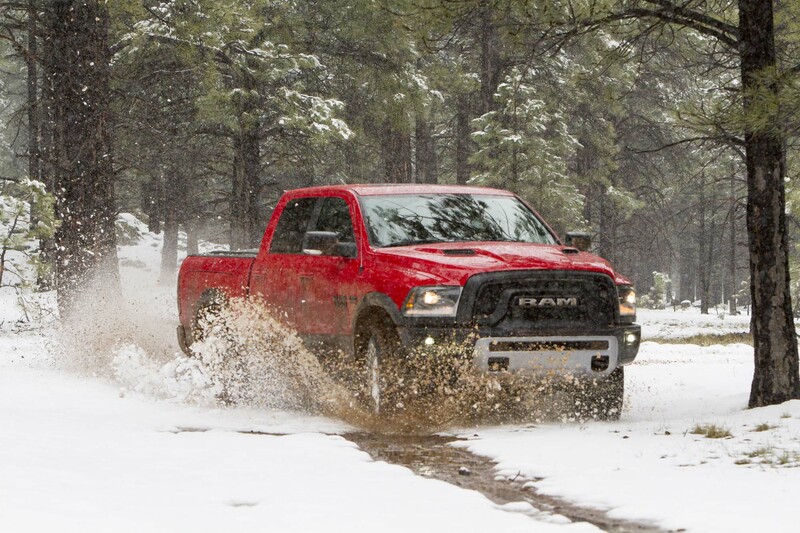 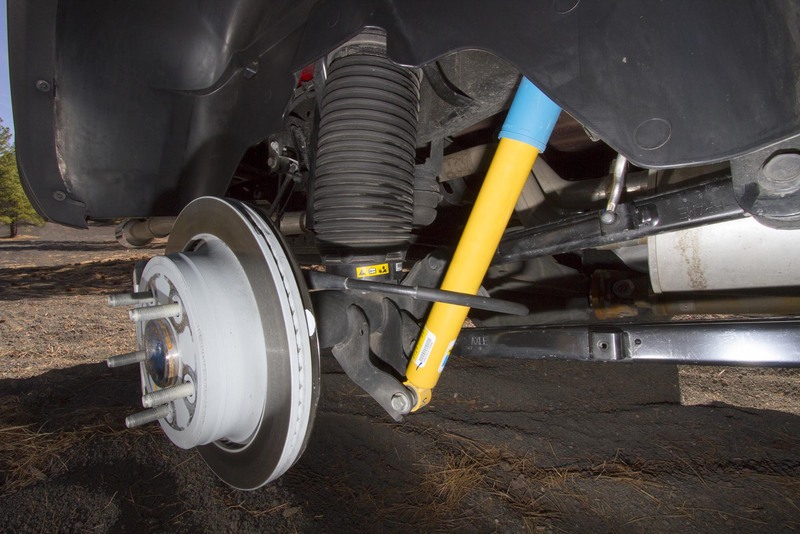 With backcountry travel in mind, Ram fitted the front with a proper skid plate and legitimate recovery points. 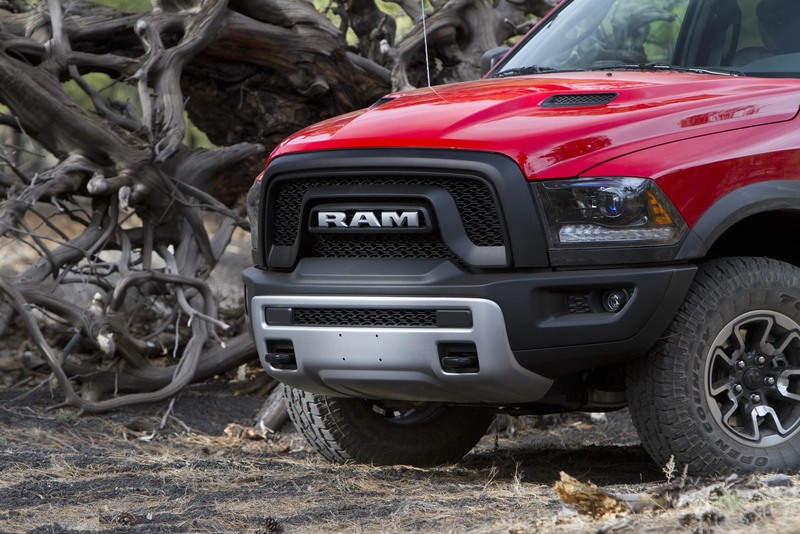 Out back, bedrail Ram Boxes utilize normally lost space and provide plenty of room for recovery gear, a Hi-Lift jack, and tools. 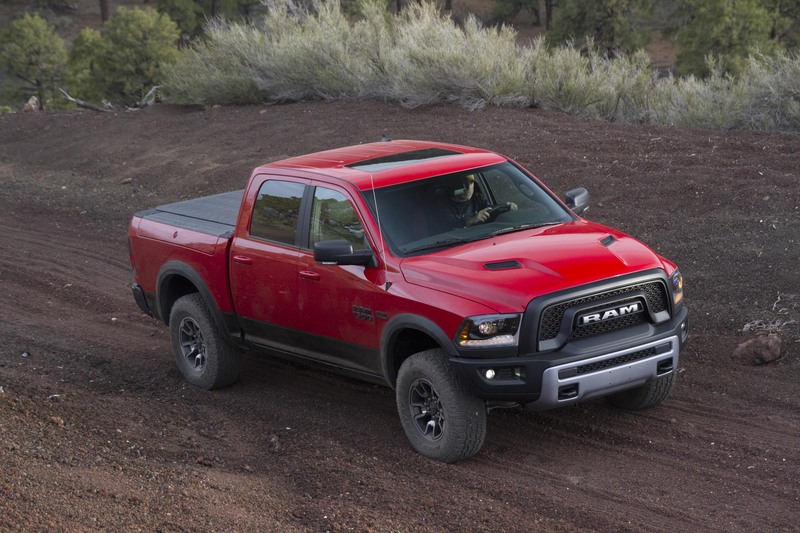 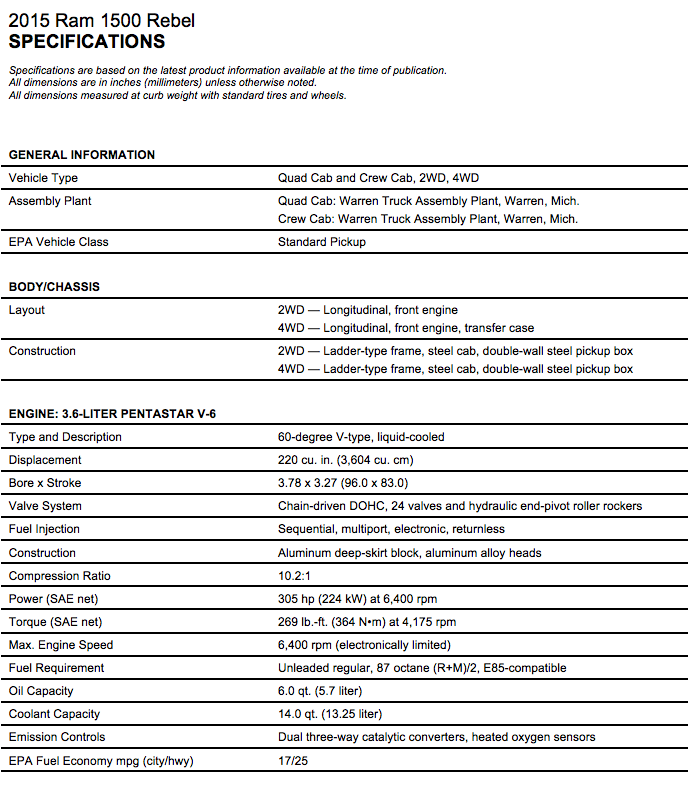 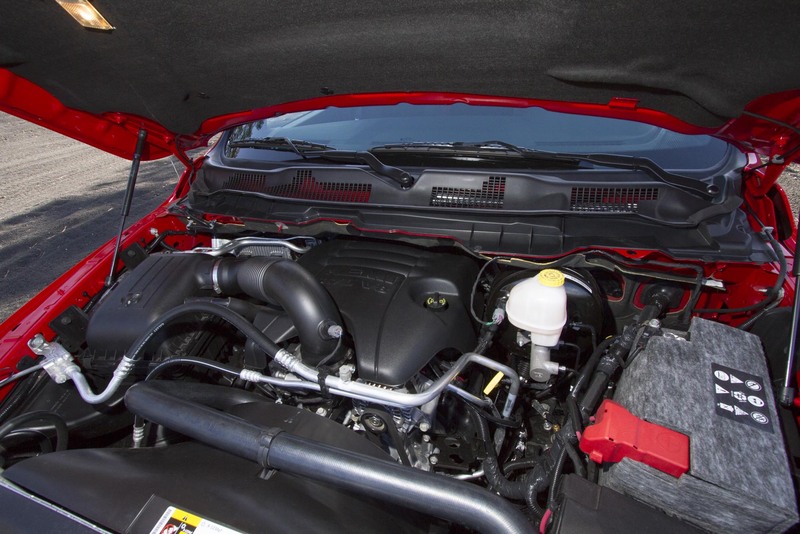 Though the base motor will be Chrysler’s 3.6-liter Pentastar aluminum-block V6, under the aluminum hood of my Rebel was the optional 5.7-liter HEMI V8. 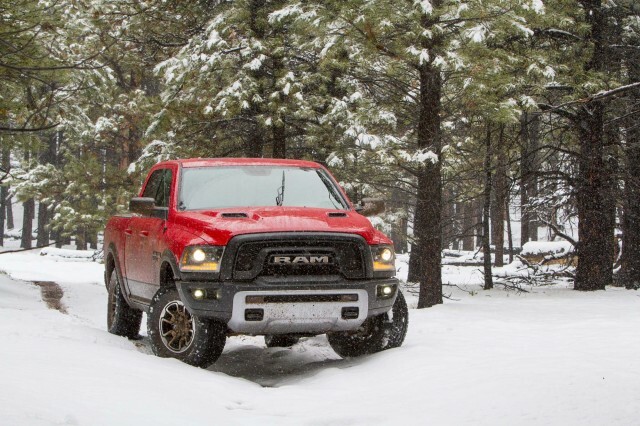 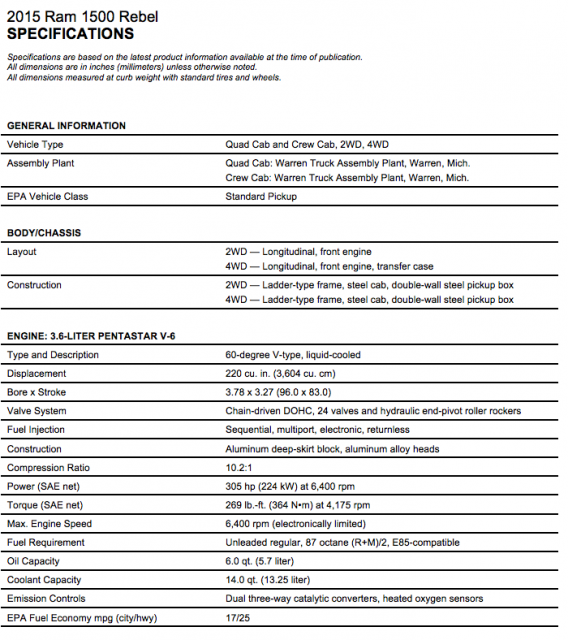 I’m quite familiar with the HEMI and the advantages of its 395 horsepower and 410 lb-ft torque. Though you lose a bit of fuel economy (17/25 mpg vs. 15/22 mpg), the benefits when towing a trailer, merging onto the highway, or powering up a long, loose lava field will plaster a wide grin across your face. The ZF Torqueflite 8HP70 8-speed automatic transmission shifts through the gears like a hot knife through butter—seemingly transparent from the driver’s seat. The exhaust system lets you know it is a HEMI when you get a happy right foot, but doesn’t prompt you to reach for earplugs during normal driving. 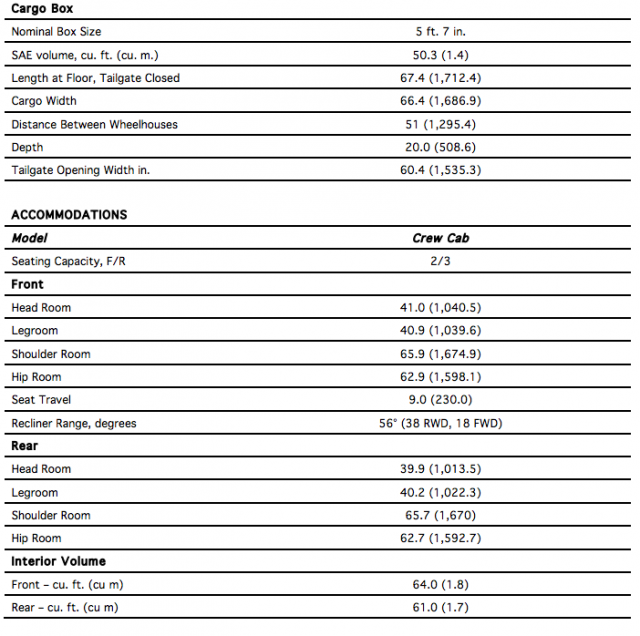 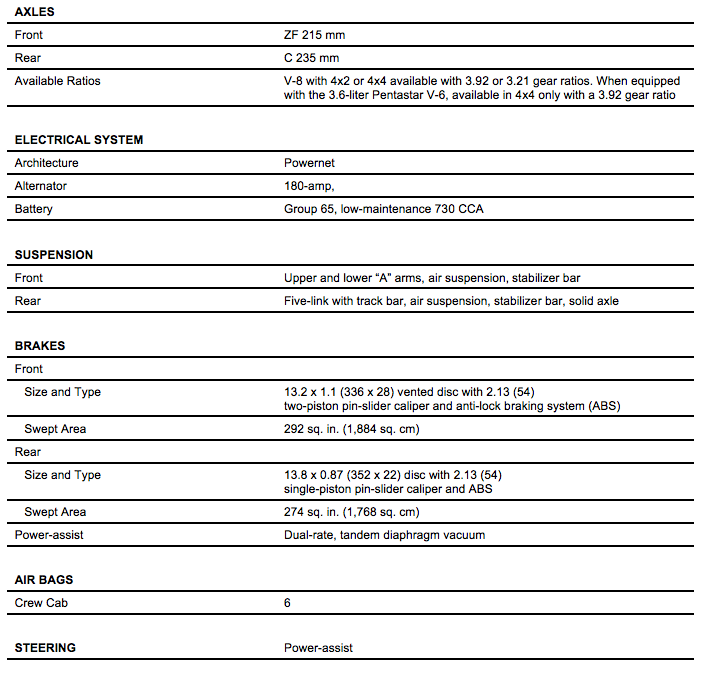 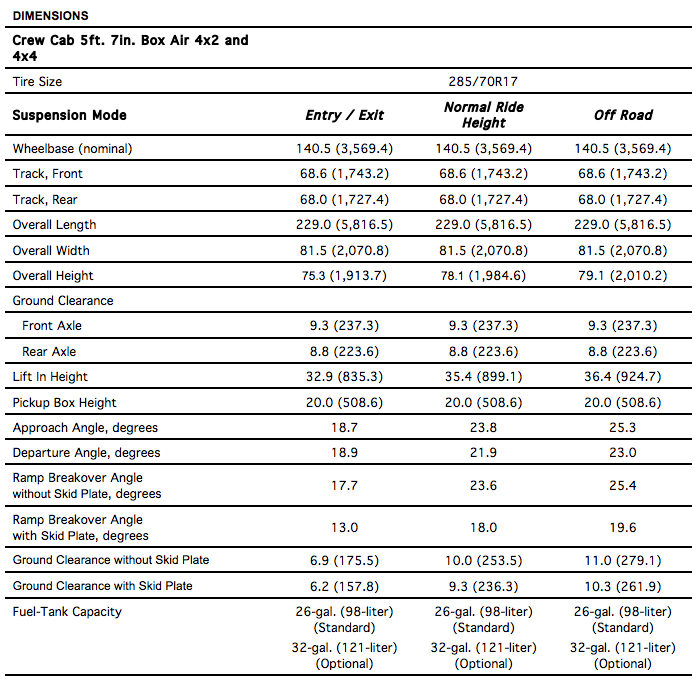 Another option to note is the availability of 3.92:1 ring and pinion gears (standard is 3.21:1), which adds additional low-end grunt and puts the HEMI in appropriate rpm range in most situations (the 8HP70 features a 4.71:1 first gear and .67:1 overdrive). As with many new vehicles these days, the transfer case selector is a dial on the dash. While I’ve griped about dials and buttons robbing me of the tactile joys of slipping a lever into the 4H or 4L position, after spending three days in the Rebel, it became quite natural to reach down and just push “the button.” I’ve got to roll with the ages I suppose. 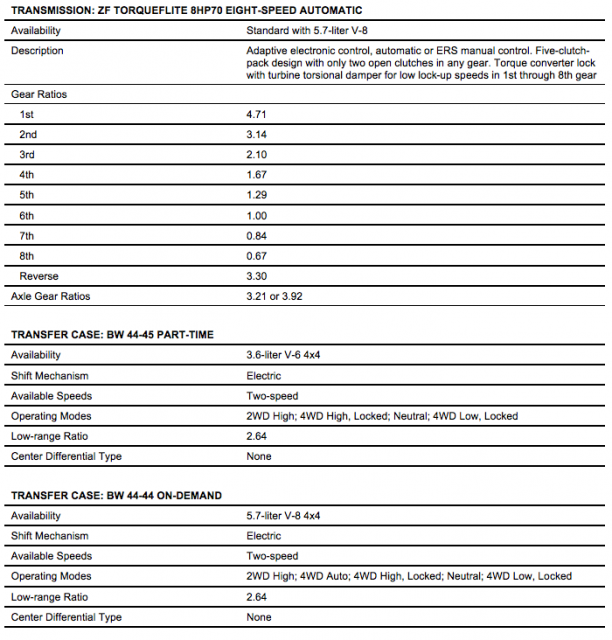 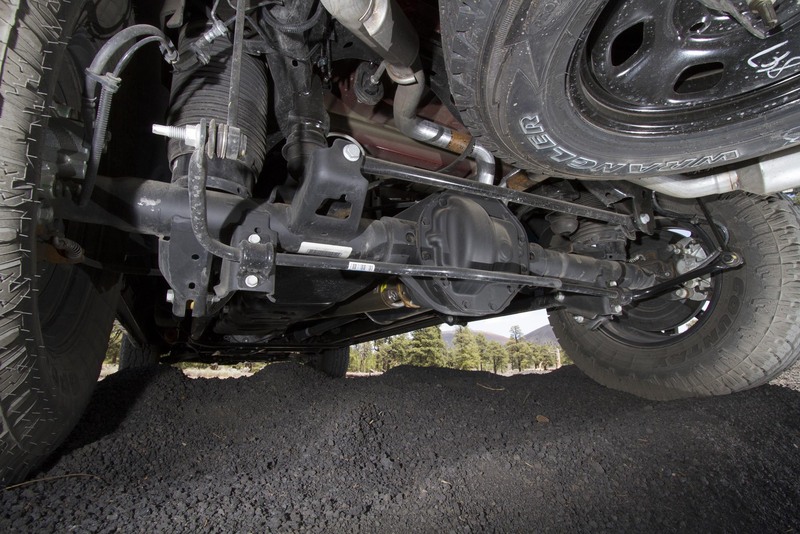 The transfer case is an on-demand BW 44-44 with a 2.64:1 low range, which provides a respectable final drive low-range ratio of 48.74:1. Our test area was the Cinder Hills OHV area near Flagstaff, Arizona, a 13,000-acre playground of cinder cones, lava flows, and seemingly endless fields of pumice gravel. The region was in the midst of a one-off spring storm, and by the afternoon we were trekking through several inches of freshly fallen snow. 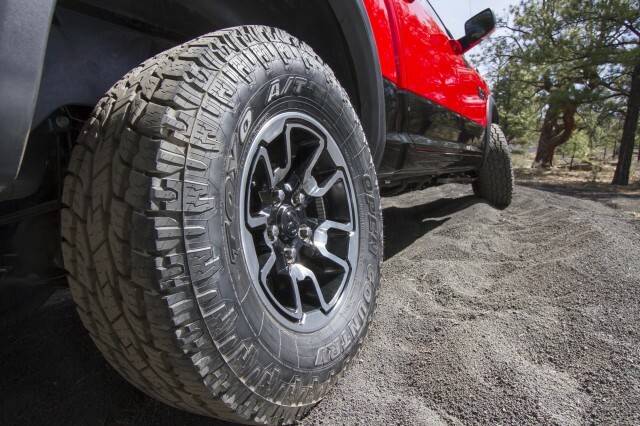 While the Rebel is not a Baja racer, able to absorb 3-foot rollers with ease (trust me, the Raptor can’t do this either), the vehicle’s air suspension (which adds an additional inch of ground clearance), five-link rear axle configuration, and custom tuned Bilstein shocks did an impressive job skipping through the 6- to 8-inch whoops at speed. 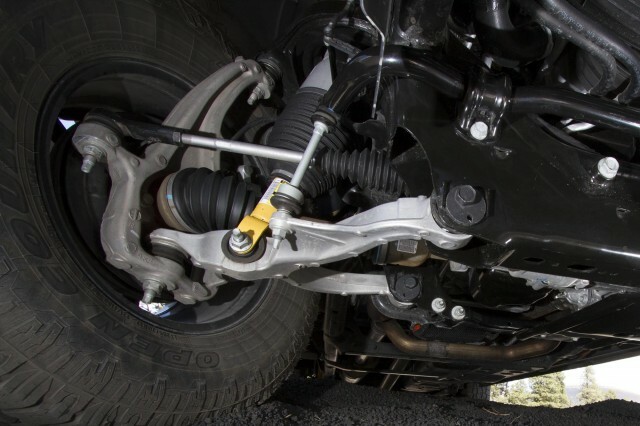 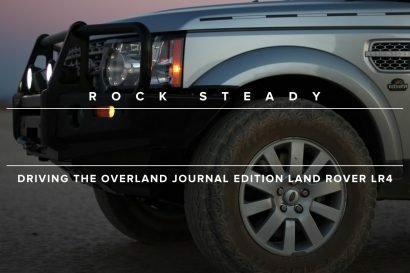 The rear stabilizer bar is slightly less aggressive, and when combined with the Rebel’s aluminum front A-arms, allows for respectable articulation in technical terrain. 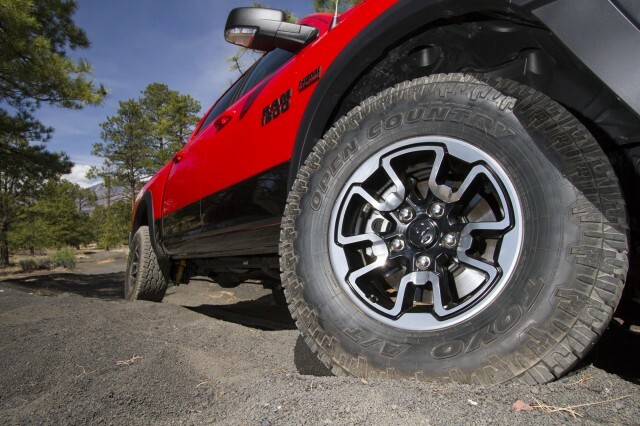 Rather than fitting the vehicle with slicks to appease the EPA and urban mall cruisers, Ram wrapped the Rebel’s sporty new 17-inch aluminum wheels with 33-inch Toyo Open Country all-terrain tires (285/75/R17E). 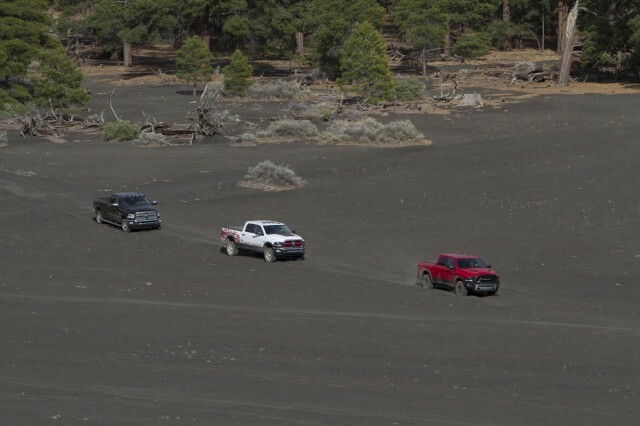 Knowing we were heading for long climbs up lava scree, Ram actually allowed us to air down the tires. It is quite uncommon for an OE to deviate from the maximum recommended tire pressure (I’ve actually never experienced this), and it is nice to know that Ram actually “gets it” with regard to airing down when you head off the pavement. 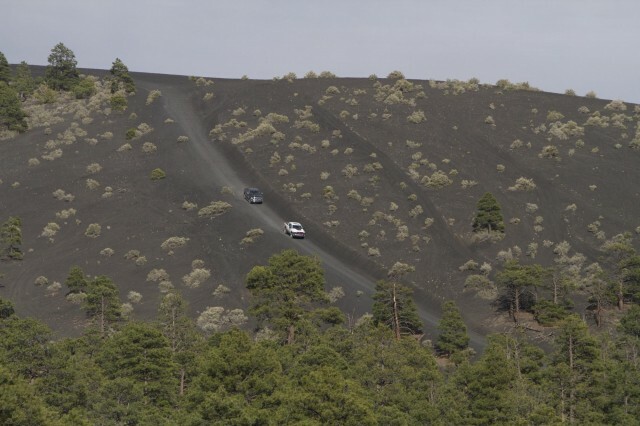 The pressure change wasn’t significant, but allowed the Rebel to walk right up extended steep climbs through loose pumice. 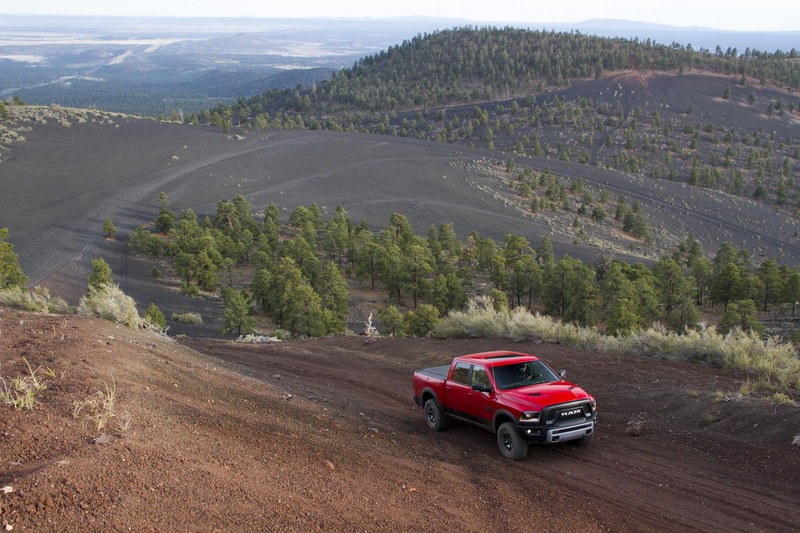 The afternoon found us sloshing through mud, snow, and sleet while en route to the lava tubes below San Francisco Peak, an extinct volcano that rises to a 12,633 elevation. 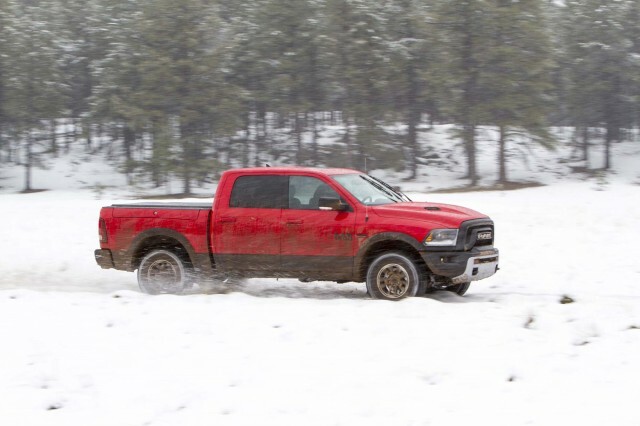 The Rebel took no issue with the weather, and the combination of powertrain, tires, and suspension allowed for an exciting afternoon of snow/mud play. 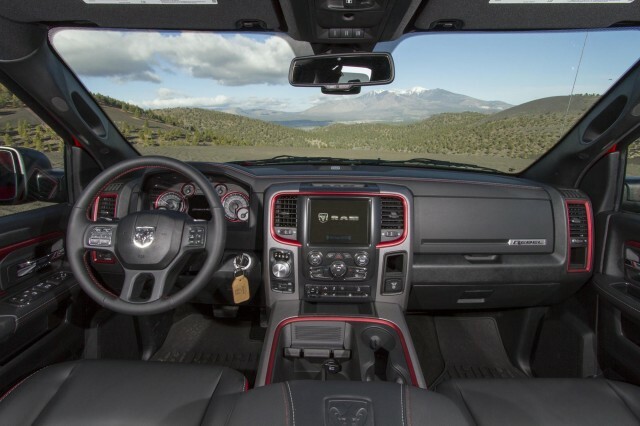 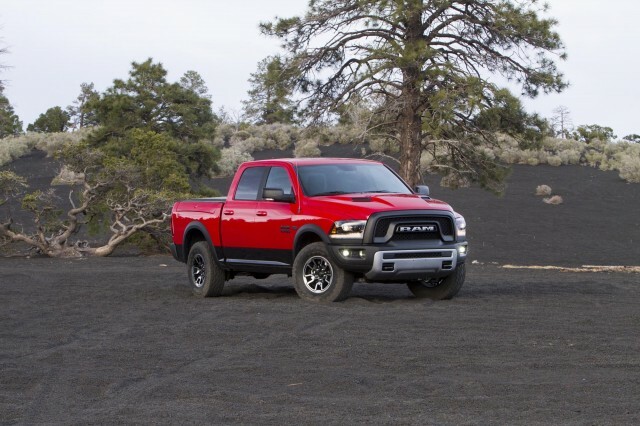 Ram’s president and CEO Bob Hegbloom said, “Offering an off-road-style package on the Ram 1500 has been on our to-do list for some time.” The Rebel fits a niche that enthusiasts were waiting to have filled, and Ram did a great job on this one. 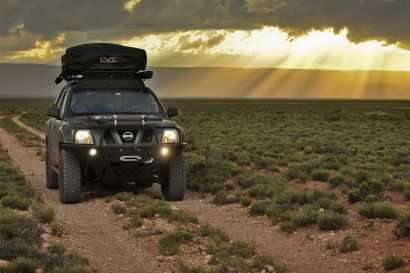 If a Rebel landed in my driveway next week I’d add a rear ARB locker, Four Wheel Camper, and some recovery gear, and be ready for an extended trip south of the border to Baja.